This completely revised and updated fifth edition gives you all the latest information on assessing and treating conditions you may encounter in the wild, from serious injuries such as dislocations and fractures to unexpected major illness to weather-related problems. With quick-reference checklists of symptoms and procedures, recommendations on first aid kits and equipment, and more, Mountaineering First Aid will prepare you for anything in the backcountry. 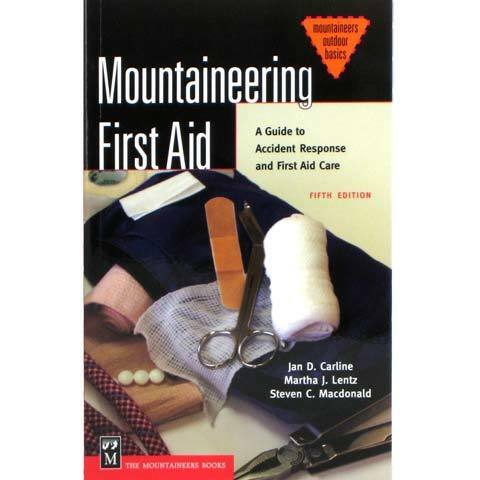 A faculty member in Medical Education at the University of Washington, Jan Carline has been affiliated with the Mountaineering Oriented First Aid Program (MOFA) for over 15 years. Martha J. Lentz, Ph.D., R.N., is a faculty member of the University of Washington School of Nursing, and has been active in the MOFA program for over 20 years. Steven MacDonald, Ph.D, is an epidemiologist in the National Center for Environmental Health at the Federal Centers for Disease Control and Prevention, and has taught the MOFA course. Part of the The Mountaineers Outdoor Basics series! Created for beginning-to-intermediate enthusiasts, this series includes everything anyone would need to know about staying safe and having fun in the backcountry. Written by Jan Carline, Ph.D, Steve MacDonald, M.P.H., Ph.D. & Martha Lentz, R.N., Ph.D.